Alderac Entertainment Group will release expansions for Thunderstone Quest and Space Base in Q1 2019. Kickstarter hit Thunderstone Quest finally made it to trade (see �'Thunderstone Quest' Release Date Set�), and the first three Quests (expansions) are included in the retail set. 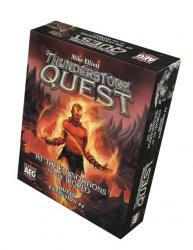 Thunderstone Quest: Foundations of the World Quest 4) is an exciting climax to the first chronicle of Thunderstone Keep. The players have recused Miricelle from the Bandits of Black Rock, but there is more than meets the eye to her true nature. Players can use the cards to play the new quest or expand their options for random set ups. The box includes 246 new cards, 6 Dungeon Room titles, and randomizers and dividers. MSRP is $39.99. Release is set for February 8. The final expansion, Thunderstone Quest: Ripples in Time (Quest 5) will release later this year. 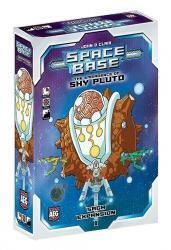 The science fiction dice game Space Base (see �Alderac's Major Q2 Releases�) will be exploring new frontiers in Space Base Saga Expansion 1: The Emergence of Shy Pluto. The story-based Saga Expansions introduce new content through a narrative structure. A new galactic body has emerged within the Milky Way, and the United Earth Services dub it Shy Pluto. New ships will be added to the game, as well as new play-through scenarios. After the story is completed, the contents may be added to the Space Base core set. MSRP is $24.99. Release is planned for March 29.